Milon Townsend Simple Secrets DVD series. Introduction to Lost Wax Kiln Casting - Multiple Methods for Casting Glass Sculptures. 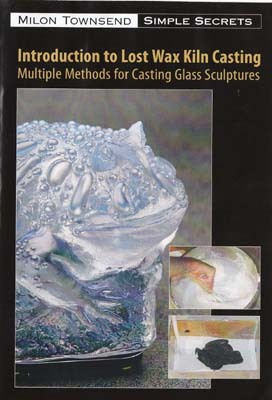 This DVD will open the doorway for you to successfully cast small and medium scale glass sculptures, using the lost wax process.